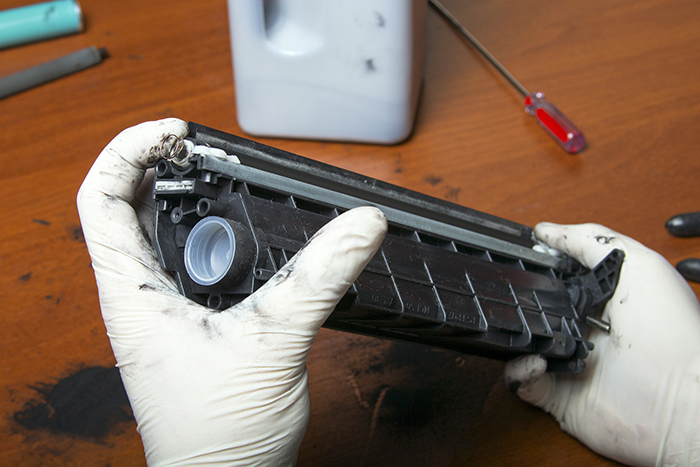 Printers perform a demanding job and preventative maintenance remains a practical way to continue their smooth and efficient operation for years to come. That’s why we recommend regular maintenance of your printers. 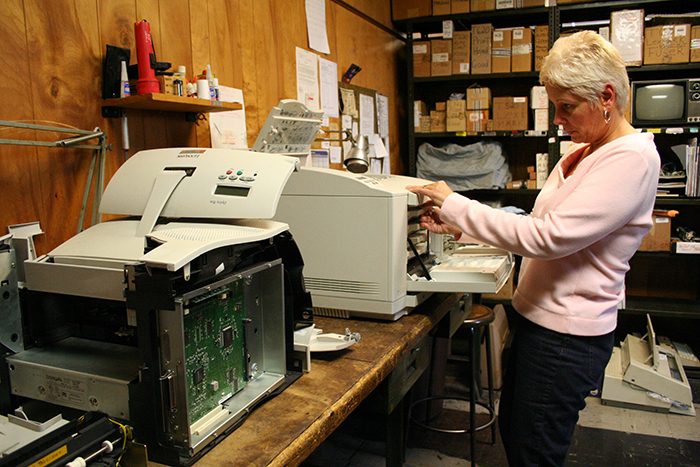 We stock a variety of laser printer parts and provide onsite laser printer service throughout Southern New England. In addition, architectural and drafting firms, engineering consultants, and many government agencies throughout southern New England have come to rely on Marr Office Equipment for the service and repair of their pen plotters. Count on Marr Office Equipment and our experienced technicians to provide expert service and repair of your printers at reasonable prices. 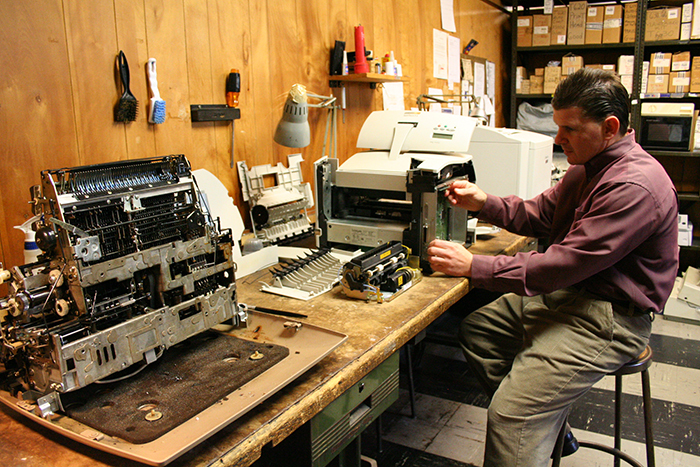 Mike Marr, third-generation owner of Marr Office Equipment repairs a laser printer. A technician works on a multi-function printer. A laser toner cartridge undergoes evaluation.